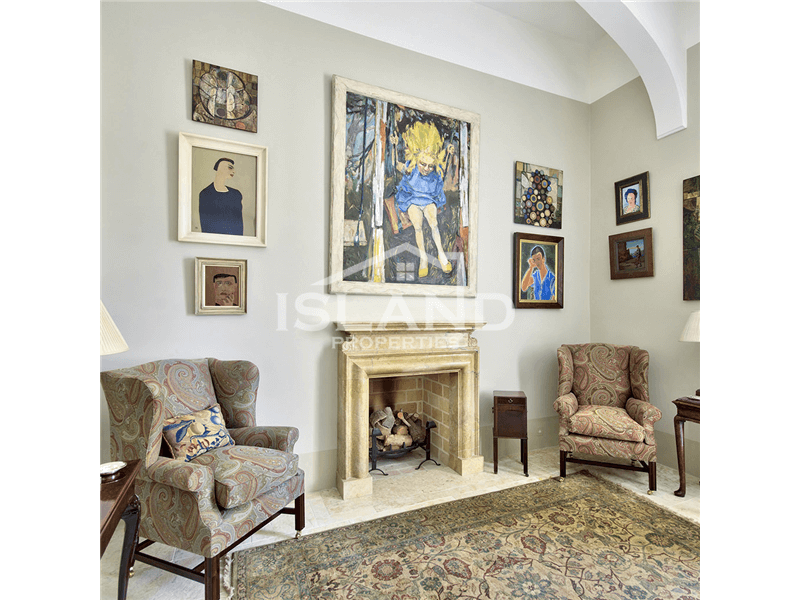 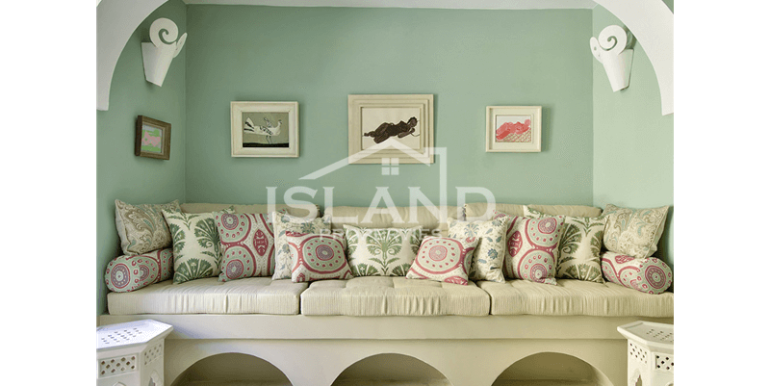 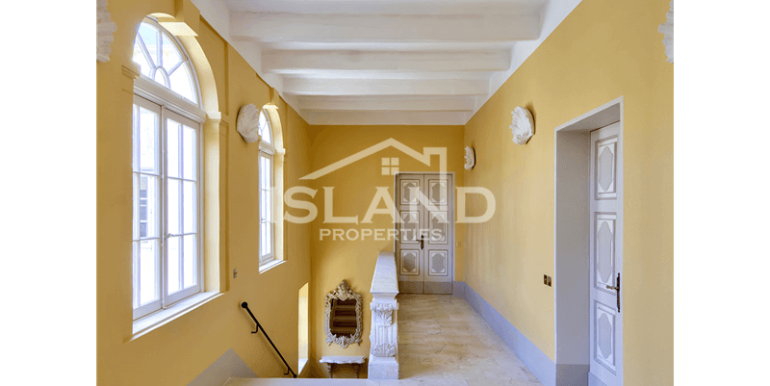 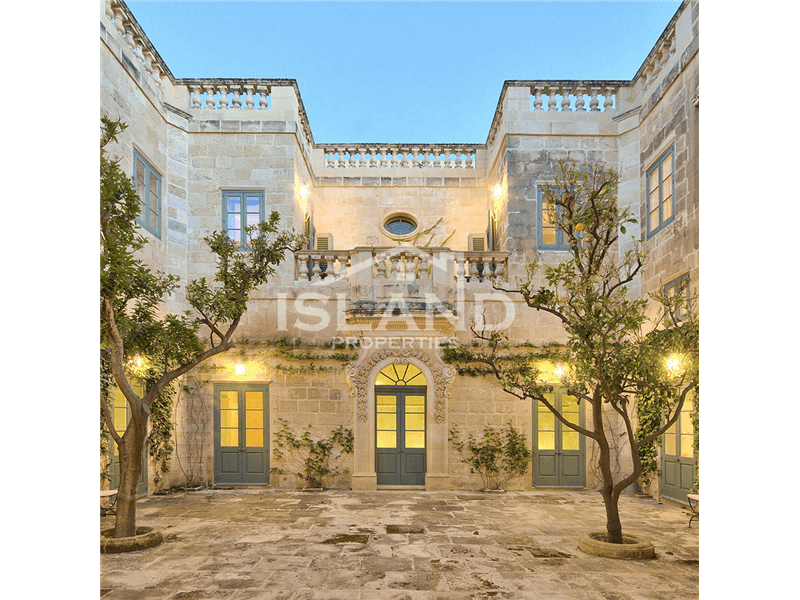 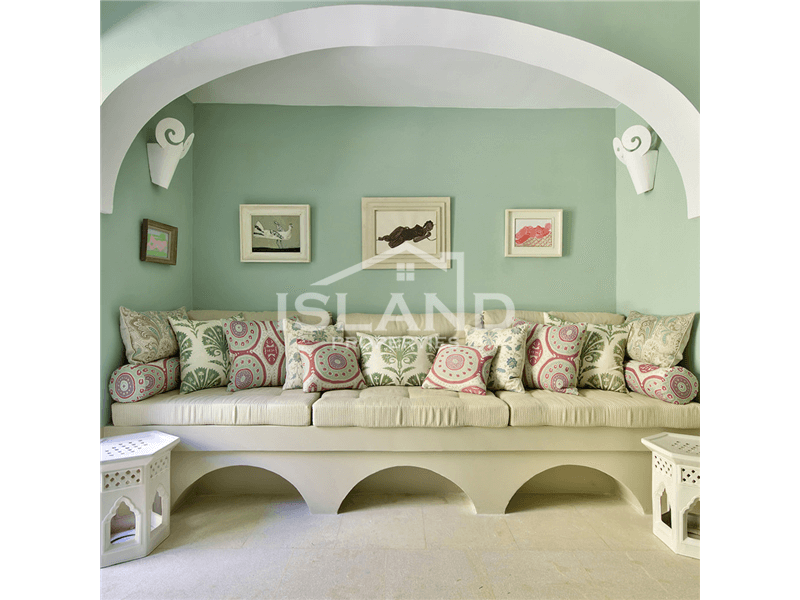 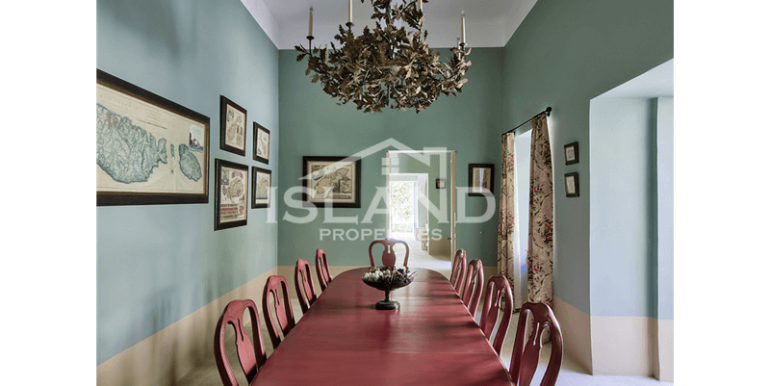 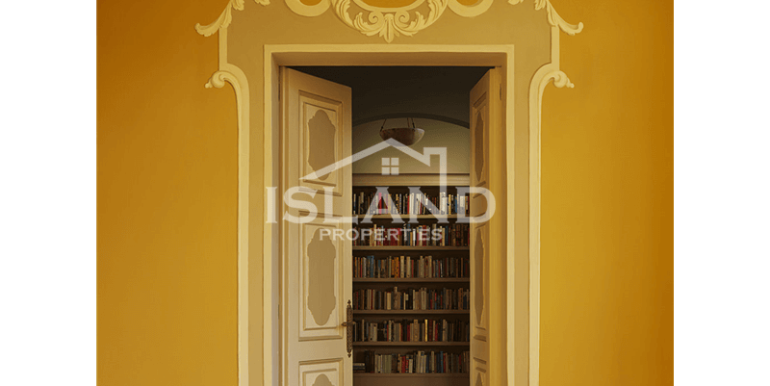 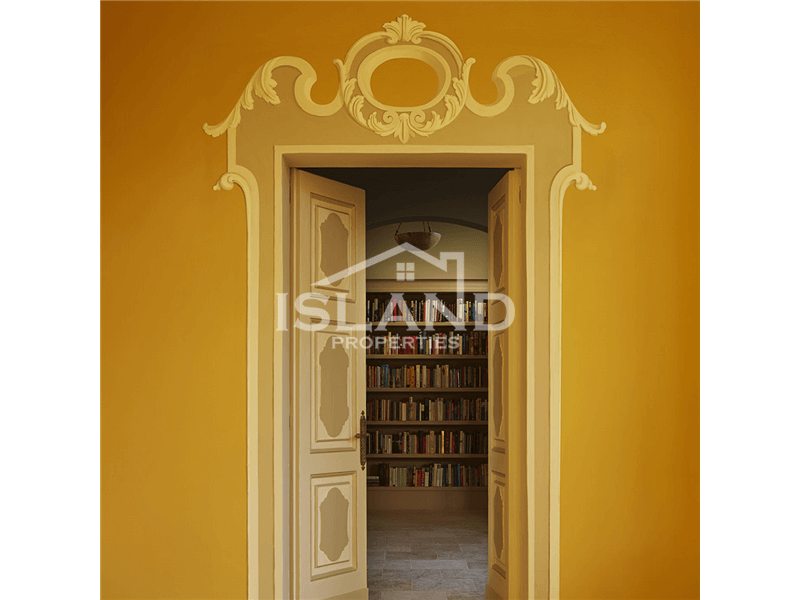 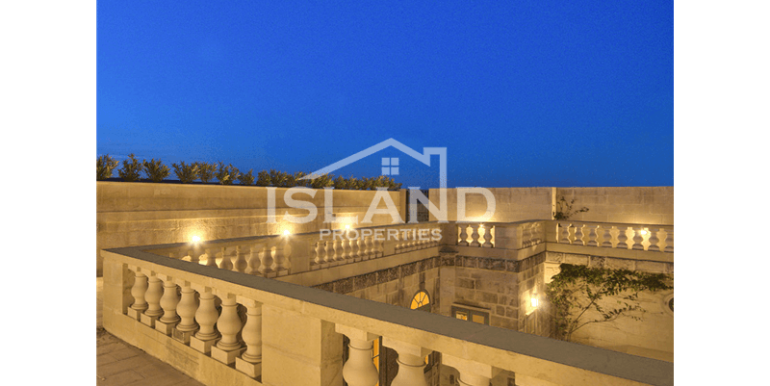 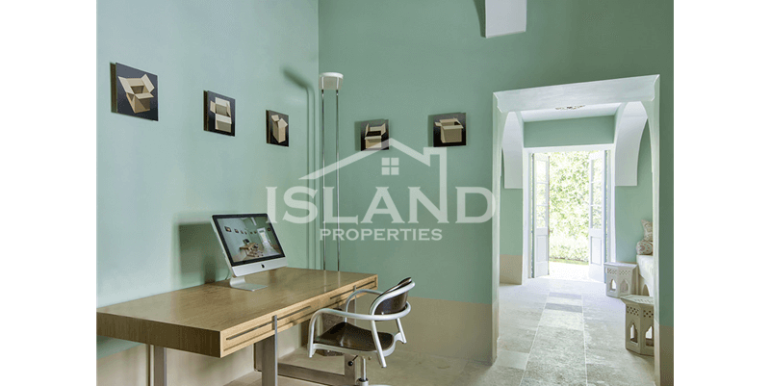 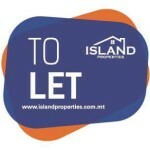 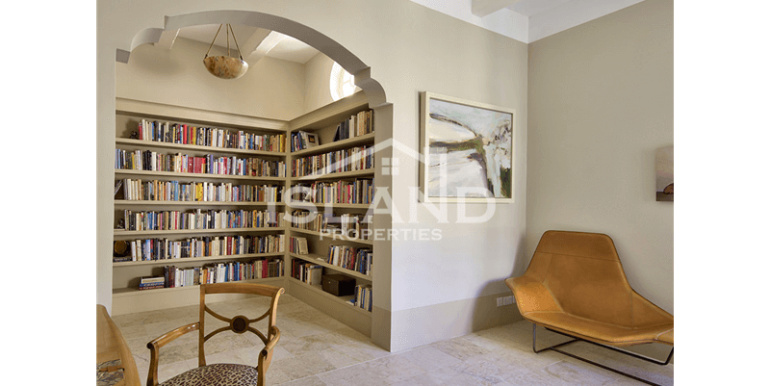 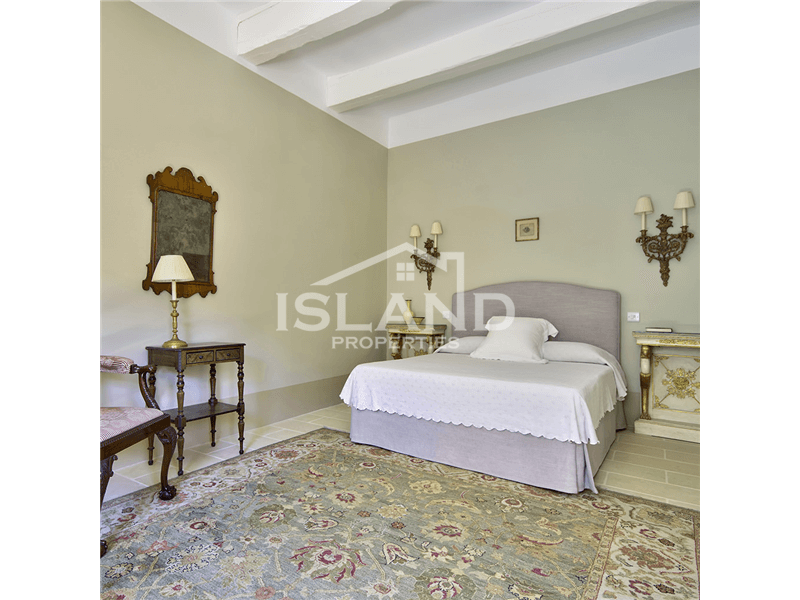 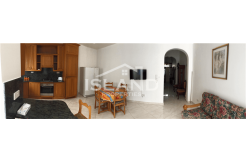 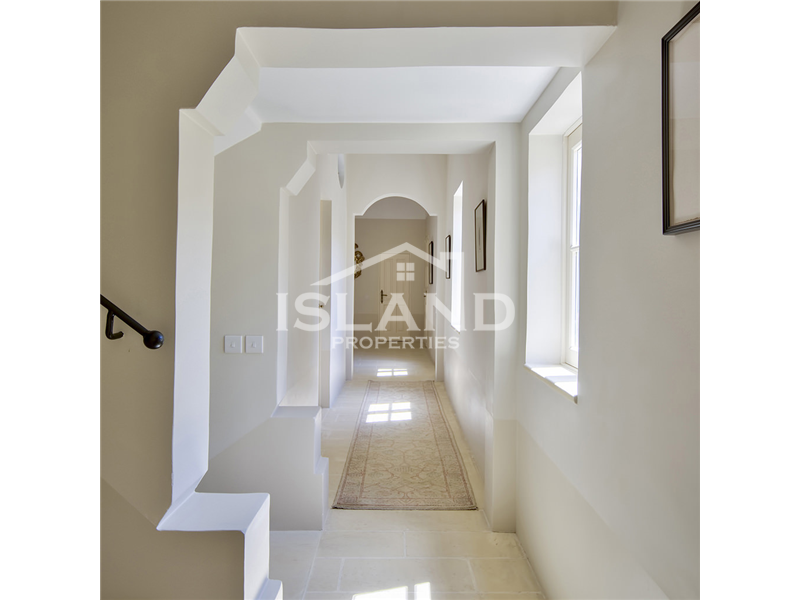 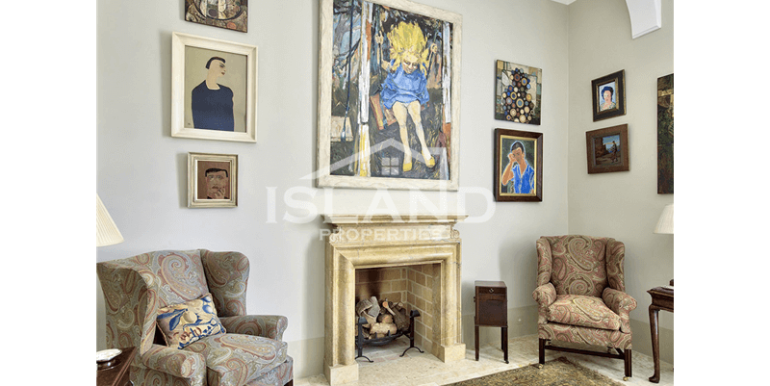 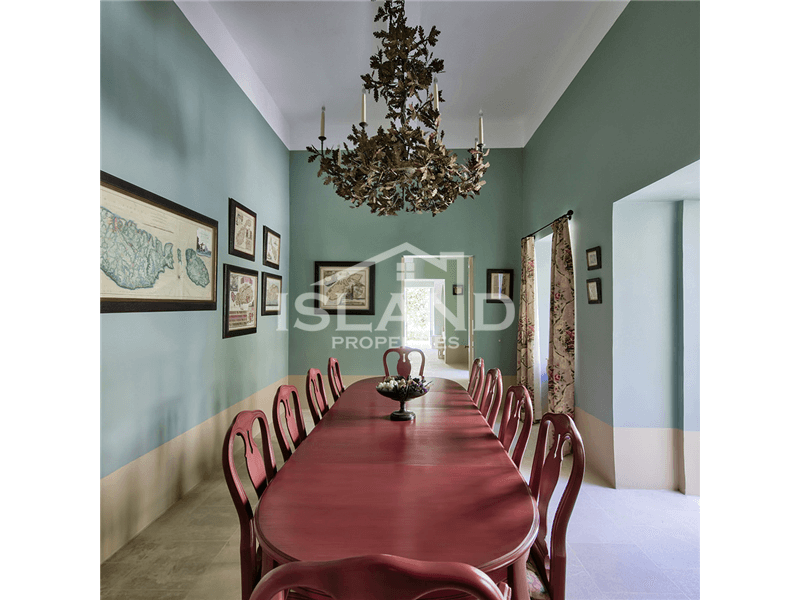 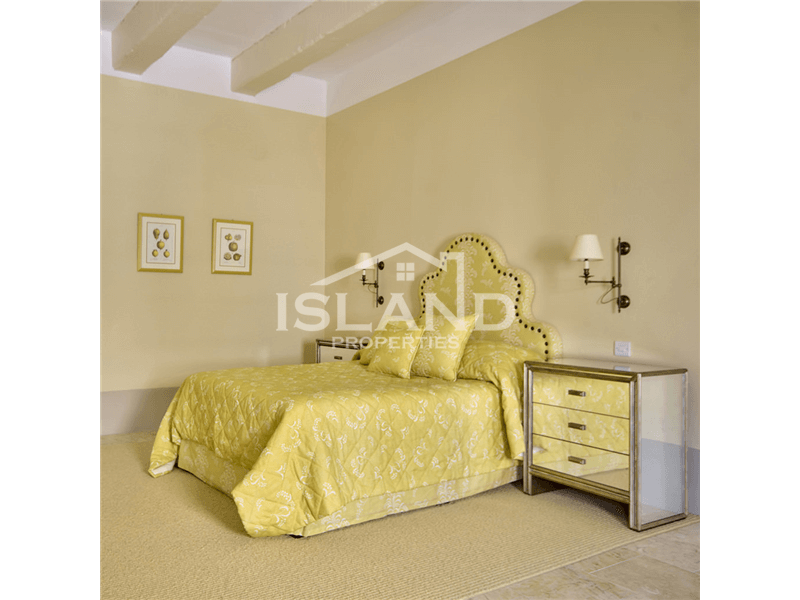 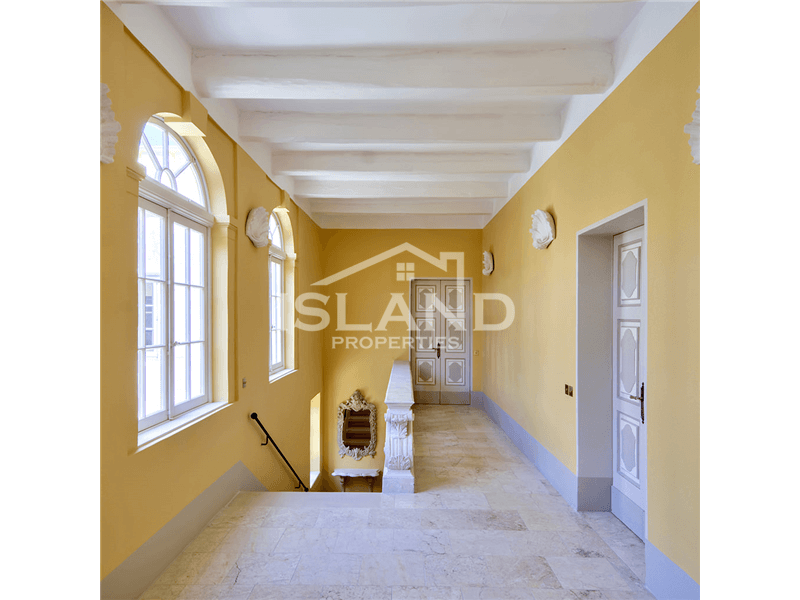 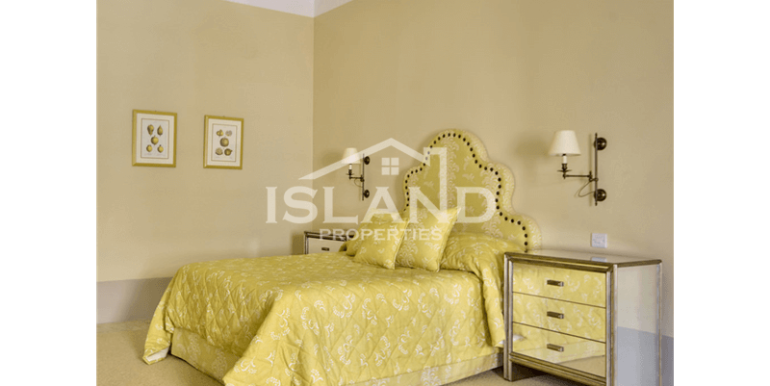 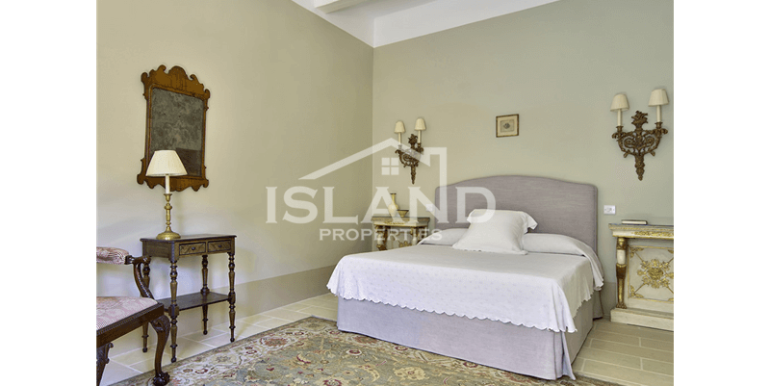 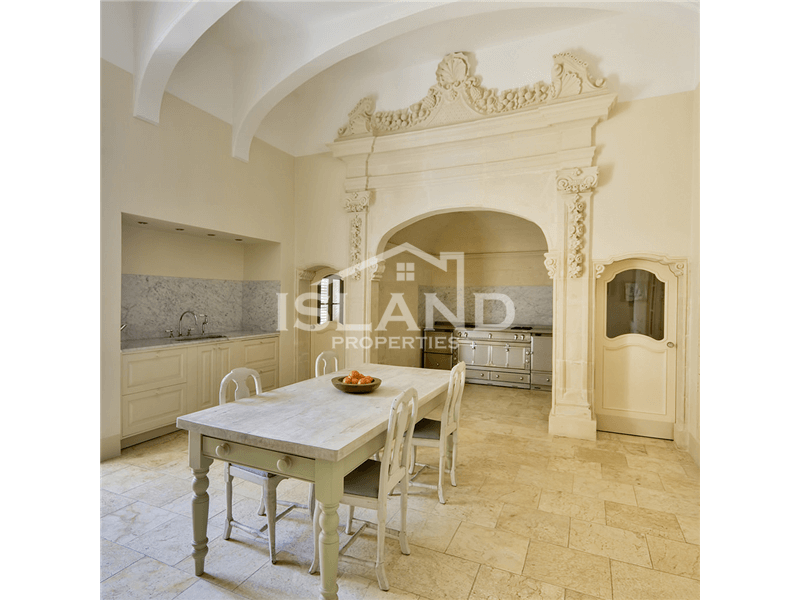 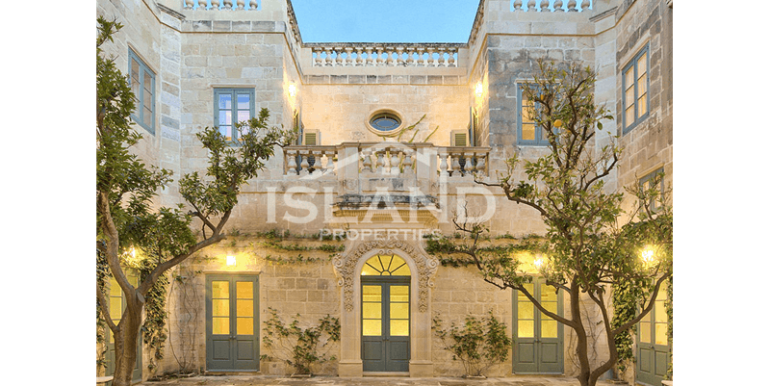 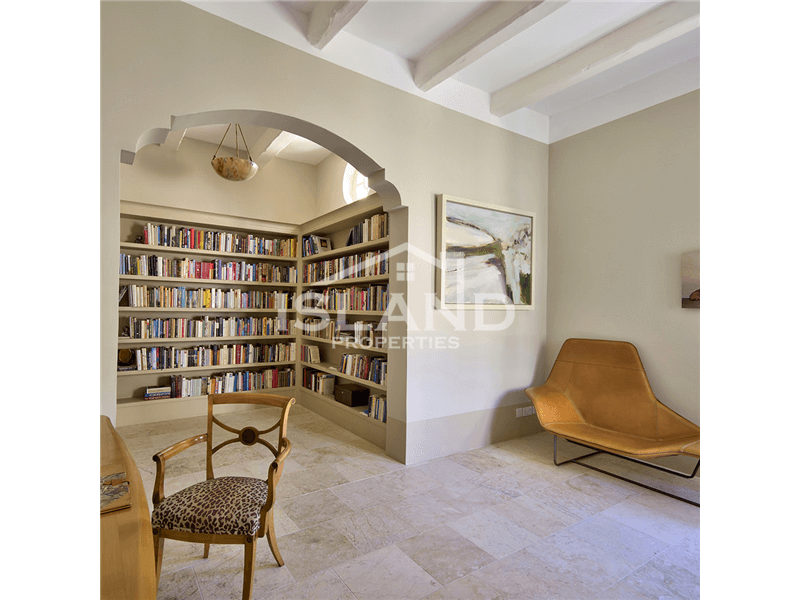 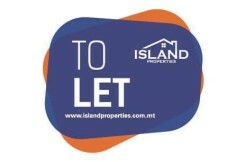 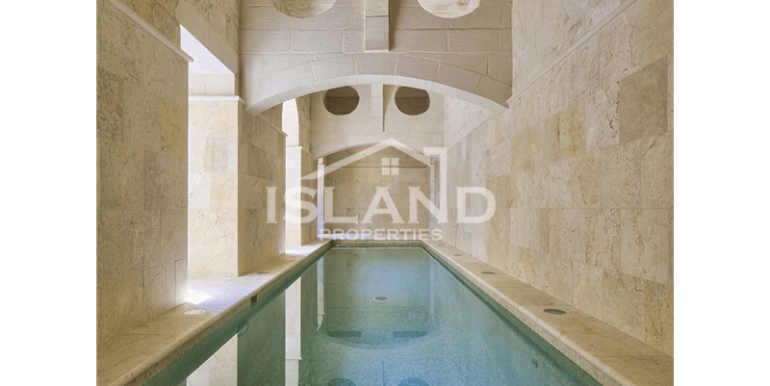 This property is a four storey Palazzo located in a quiet area in Naxxar. 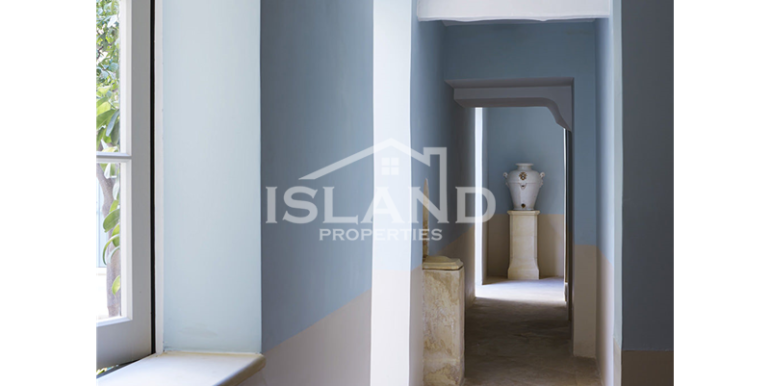 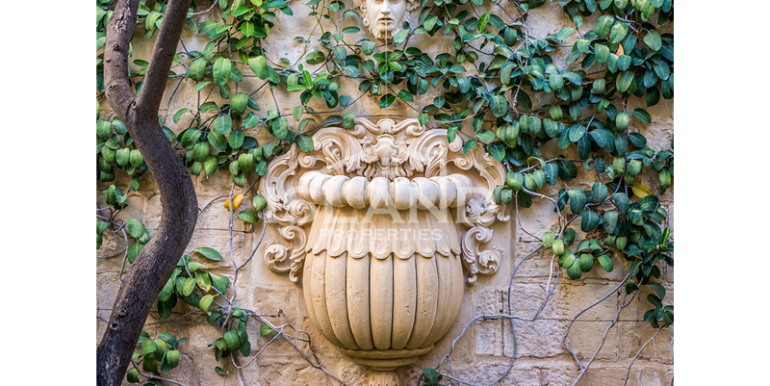 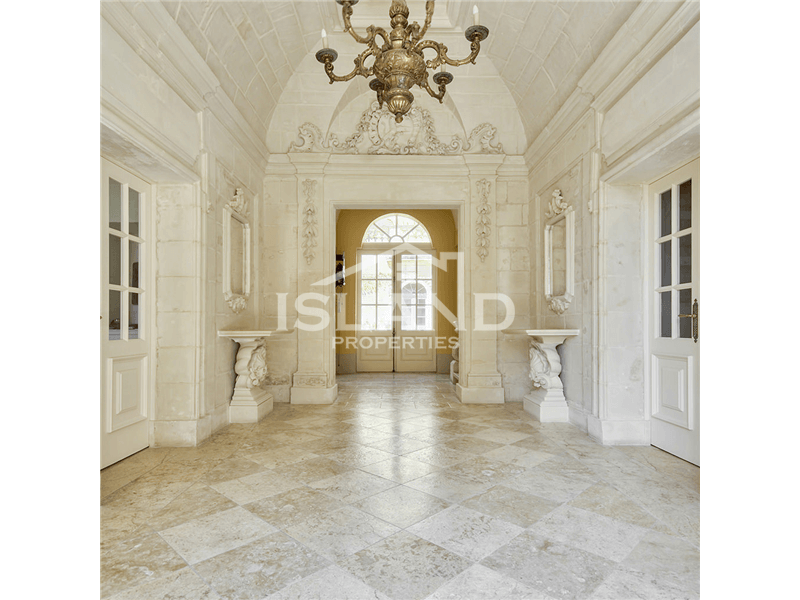 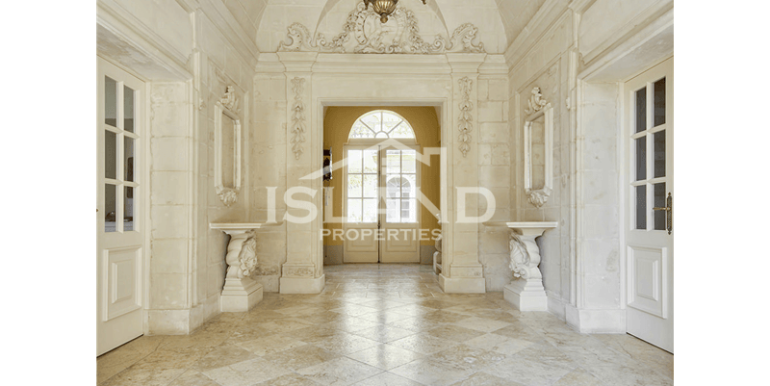 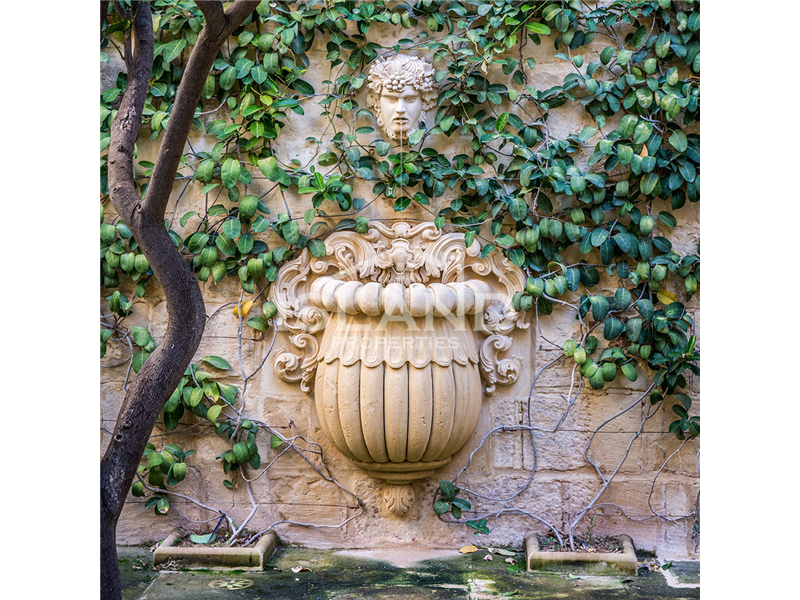 It boasts a grand entrance hall leading to an ancient courtyard with Bacchus wall fountain. 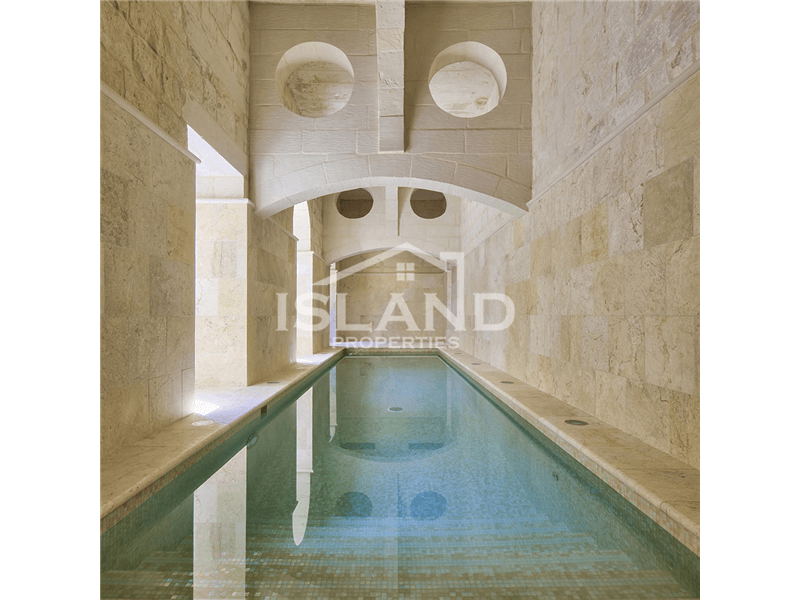 As well as an indoor heated swimming pool entirely clad in stone. 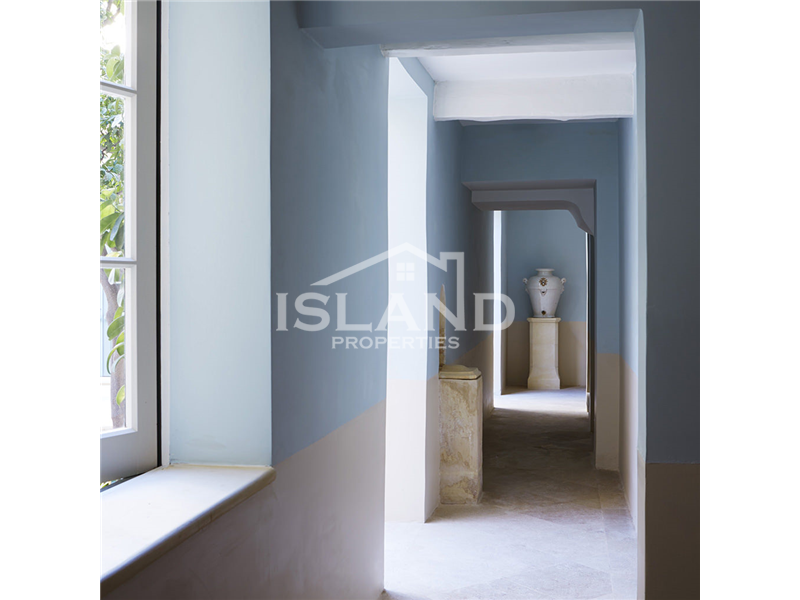 It’s equipped with all modern conveniences, including underfloor heating, air-conditioning and solar panelling. 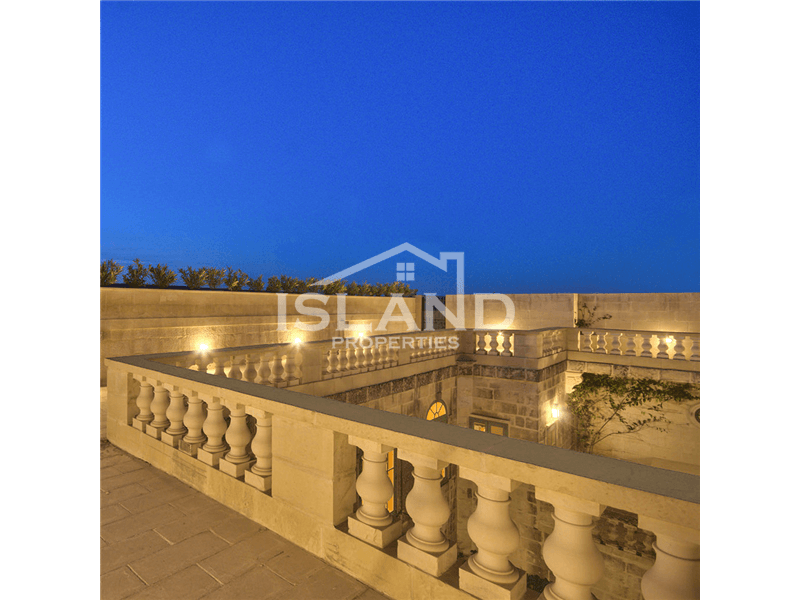 It also benefits from a 250sqm roof terrace that is shielded from neighbouring buildings. 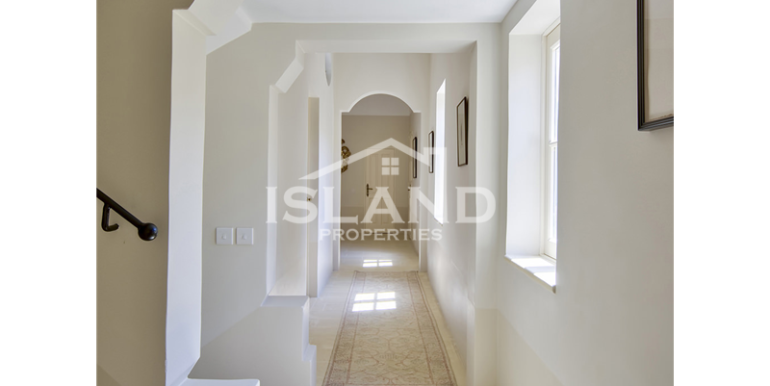 One may also find an interconnecting apartment with bedroom, adjoining bathroom, kitchen, living room with an independent street entrance.